. . .hat the devil have you had anything to do with me for, then?" I kept thinking all the stories of musicians, singers and travelers were inter-related and would all wind back around to a crossing of their paths. Alas, I was wrong and disappointed. The first story of the painter and singer neighbors was the best one. "Miss Cather's book is more than a random collection of excellent tales. It constitutes as a whole one of the truest as well as, in a sober and earnest sense, one of the most poetical interpretations of American life that we possess." The stories in this collection are mostly set in NYC and Boston, and they're all about artists - writers, musicians, sculptors - and their relationship to society. There are stories about glitter, about inspiration, and about expectations. They are all beautifully written. If you care for 20thC American Lit, you love Willa Cather. She breaks hearts in a few sentences. Cather tops any American Lit List with Edith Wharton and Scott Fitzgerald. Who else is there on top 20th tier? In spare, concise style she digs into emotions and dreams. I reread Cather's short stories every few years. She has a radiant, powerful punch for me which few writers share. "A Wagner Matinee" is brilliant. "Coming, Aphrodite" would make a stunning movie. 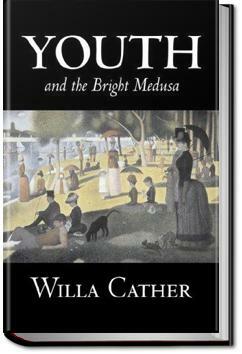 Excellent short story collection from Cather, featuring opera divas, dreamy adolescents, teary-eyed spinsters, to help explore a common theme, the trials and tribulations of the artistic temperament in a world of commerce.